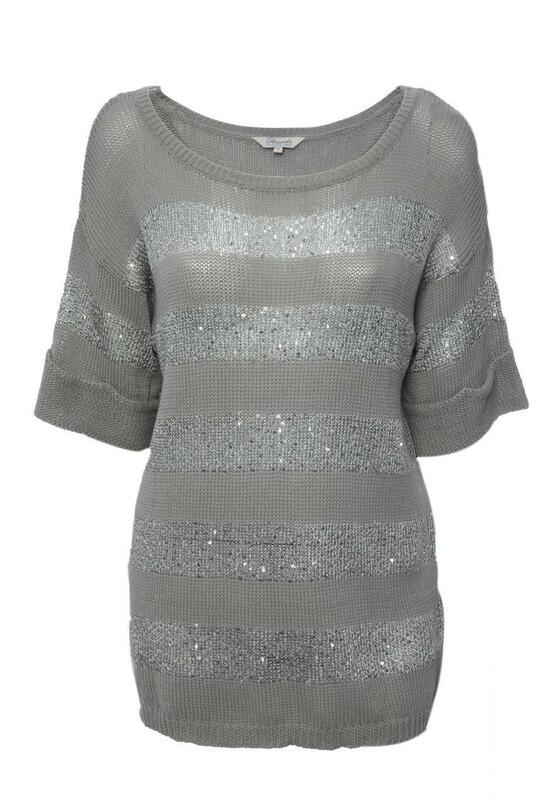 Wrap up in style with this gorgeous sequin stripe jumper. Cosy and cute, this glitzy knit is perfect for the season ahead. Featuring a rounded neckline with short turn up sleeves!